Reference is made to the stock exchange announcement from Norwegian Air Shuttle ASA (“the Company”) on 12 March. Following recommendations by European aviation authorities, Norwegian temporarily suspended flights operated by the Boeing 737 MAX. Following this decision, the Company is combining flights and reallocating aircraft within its own network, keeping the number of cancellations at a minimum and minimizing the impact on customers. 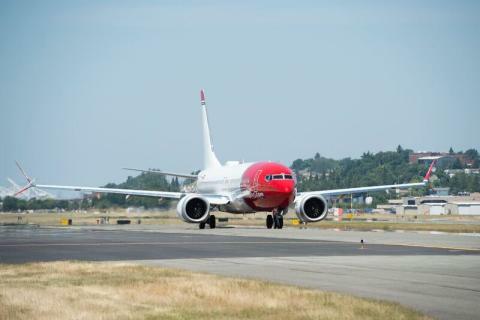 Norwegian has more than 110 Boeing 737–800 aircraft in its fleet, which is not affected by the temporary suspension. It also has some available capacity in the 787 Dreamliner fleet that has been utilized on several high-volume routes. The schedule changes have been concentrated to high frequency routes, minimizing both the economic impact and the disruption for passengers. Affected passengers have been transferred to other flights, but are not eligible for standard EU compensation. The Company remains in close dialogue with European aviation authorities and follow their instructions and recommendations. The Company is also taking precautionary measures to make sure the passengers reach their destination going forward. In addition to continuing combining flights and reallocating aircraft, the Company has decided to delay potential sales of six Boeing 737-800 aircraft and use available 787 Dreamliner capacity on high-volume routes, which will add flexibility. The Company is further preparing to wetlease aircraft to fill the remaining capacity gap. The Company has a good dialogue with Boeing and is confident to reach a constructive agreement.